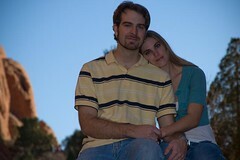 Here is a quick picture from my first engagement session this last weekend. I have a couple more that I will load as the week continues. If the laptop starts working again.